Sleep is not a luxury, it’s a necessity. As a mom of two young boys, I know all too well how sleep can positively or negatively impact our families. Five years ago we welcomed our first son into our lives. All was wonderful… until the rose-colored glasses disappeared and I was getting up 3,4,5 times a night, performing my specialized ‘mommy dance‘ to get Callan back to sleep, praying that those eyes would not open the minute I put him down. This was not exactly what I imagined motherhood would entail! Many of us believe that when we have babies we should expect to be sleep deprived and it is that belief that sets so many of us, parents and children, up for failure. Years of pure exhaustion and living in a ‘mommy brain’ fog is simply no way to fully appreciate, enjoy and care for our little ones! Sleep provides a foundation for our children to grow and learn. It allows our children to experience life with joy and excitement. It allows us as moms and dads to parent and love our children the way we hope to. Subscribe and get your free tips! Find your perfect consultation package. A large percentage of parents who reach out to me for help do so because they’re desperate. They’ve struggled through months if not years of bad sleep, both for their little ones and themselves, and they feel that they are at the end of their rope. But the reality is that about 30% of babies will suffer from poor sleeping habits, and a majority of parents wish they had more control over their little one’s sleep. That’s exactly why I offer my Newborn package, which sets parents up for sleep success from day one. If you understand the importance of good sleep for your little one’s healthy development, this is a great way to prepare your whole family for good, consistent sleep habits. Infancy is typically when sleep problems begin to manifest themselves. Much of this has to do with your child’s rapid development, and their relation to sleep changes quickly, and it can be hard for them – and you – to adjust. Oftentimes, this can lead to problematic habits, like always needing to bounce or rock your child to sleep, that only serve to worsen the situation. Like all habits, it can be extremely hard to break these, especially when your little one comes to expect them. Nevertheless, with a customized, actionable plan and one-on-one support from me, you’ll be well on your way to readjusting to a healthier sleep cycle. 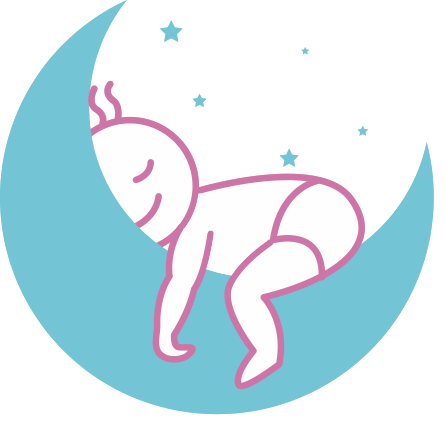 Believe it or not, it’s very possible for your baby to sleep 10-12 hours a night along with restful naps during the day. Toddlers and preschoolers are one of my favourite age groups, and also the most challenging! Of course, that probably doesn’t come as a surprise. After all, if a baby with bad sleep habits grows into a toddler with bad sleep habits, the habits are more deeply ingrained. In fact, at this point, most parents just try to grit their teeth through the issue, assuming that things will fix themselves eventually. And sometimes they do. But sometimes those toddlers with bad sleep habits become adolescents with sleep problems, who then become teenagers with bad sleep habits, who then become adults with… you get the point. Ultimately, the longer a sleep habit continues, the harder it is to break. But don’t lose faith! I’ve helped many parents with older children fix their children’s sleeping habits, and I’m here to give you an actionable plan that is clear and simple. It might not always be easy, but trust me – it’s always worth it. Adele has been extremely helpful in sleep training our 2 yr old. I love how accessible she is and her daily/regular check-ins kept us accountable and made us stick to the plan she had drafted for us. Adele was incredibly supportive by listening to all my concerns, helping me decide what was best for our son, and allowing us to make changes when we felt comfortable. She is extremely patient, kind, professional, punctual, and always follows through (even when I forgot because I was so tired). Adele is my fairy godmother. We’d been struggling with my toddler’s sleeping habit for nearly a year. Desperate and sleep deprived with a 3 yo and baby; I finally decided to consult with a professional. Adele guided us through every step of the way and modified the plan with every hiccup and challenge that came along the way. My strong willed boy didn’t go down without a fight but Adele developed a plan that was tailor to his needs. Every challenge became a new opportunity and I felt like I was part of developing the plan (versus being dictated to). I enjoyed working with Adele so much that we used her with our baby. I could not recommend Adele more highly. I felt supported each step of the way and I would not believe it was possible if I had not experienced it myself. Thank you, Adele! My husband and I are expecting our first child any day now and we wanted to make sure that we start off with the best chance for a smooth transition to life with a newborn. We are looking forward to our follow up calls in a few weeks and again in a few months, because we know Adele will help us keep on track with our goals and assist us with any difficulties we may have. We are so thankful for the peace of mind that Adele has given us in a time when there are so many unknowns! As a mother of two, I understand how difficult it can be when your little one isn’t sleeping well. At the same time, I know how hard it can be to know what to do. Almost every parent I talk to has read articles and book, solicited the opinions of family and friends, and tried to take a DIY approach to solve their child’s sleeping problems. And part of why they finally reach out to someone like me to help is because they’re desperate. The idea of trusting someone they don’t know very well with the well-being of their child may feel overwhelming and uncomfortable which I completely understand. 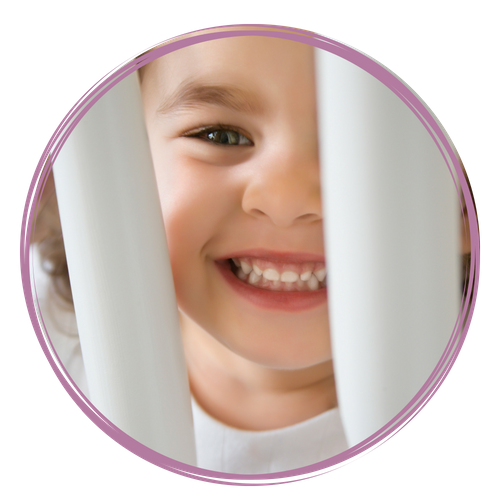 That’s why I do everything I can to make sure you feel confident and comfortable working with me, and why I will ensure that I always take the very greatest care when advising you on your child’s sleep habits. Ultimately, I began helping other parents with their children’s sleeping because of my own experience. Like most parents, I was completely unprepared to handle the sleeping challenges that presented themselves with my firstborn. For a while, I thought I was just expected to accept the exhaustion and stress, chalking it up to a challenge of parenthood. But then I realized that it didn’t have to be this way, and now our family couldn’t be sleeping better. 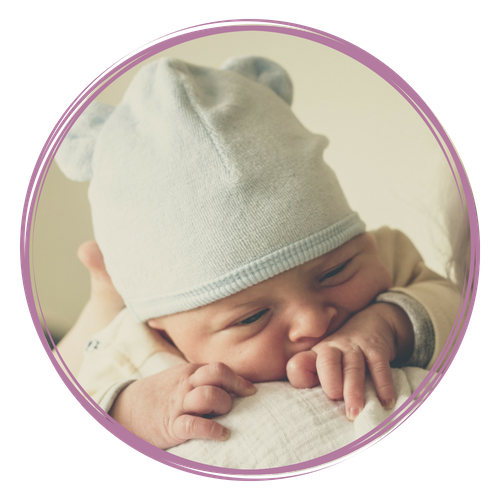 There are few things as important to a baby’s healthy development as sleep, which is why I find tremendous reward in helping other parents obtain the same results I have. If you’d like to learn more about me and my family and why I became a sleep consulting expert in San Francisco (and around the world! ), head over to my About Me page.